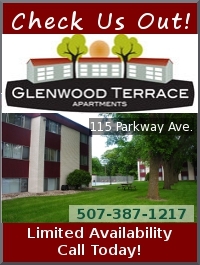 Woodside Aparments offers Studios, 2 Bedroom, and 3 Bedroom Apartments with all the modern amenities you are seeking! Lease & Deposit required. WASHER & DRYER IN EVERY UNIT. Tenants are responsible for rent, water, gas, and electricity, cable/internet. Trash is included. Enventis is our exclusive provider servicing for your cable, internet, and phone needs. 1 Pet per unit is allowed, with a $400 non refundable fee. 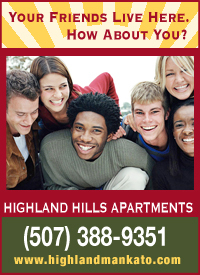 There is a large off-street parking lot along with a limited amount of garages leasing for $65/month. We also have an exercise room with several machines for tenant use. Secure building with locked doors and security cameras. 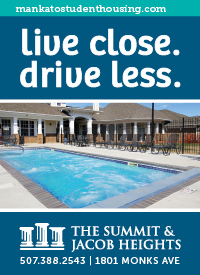 Woodside Apartments are conveniently located across the street from the WOW! Zone: Family Entertainment Center, Hilltop Hy-Vee, and the River Hills Mall. 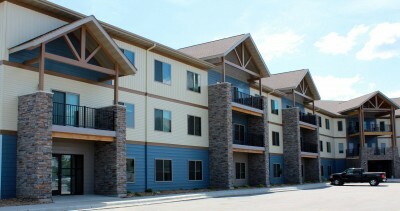 Despite the close distance to all of Mankato's action, Woodside Apartments offer a quiet and serene environment for tenants. There is a bus stop within walking distance from the apartments in front of Hy-Vee and both Highway 14 and 22 are within a one-minute drive. Call the Woodside office with questions at 507-625-8612. You can also reply to this ad. Floor plans are available.